Mediator Stock and Mediator Barrel, attached to Mediator core blaster creating Mediator XL blaster. 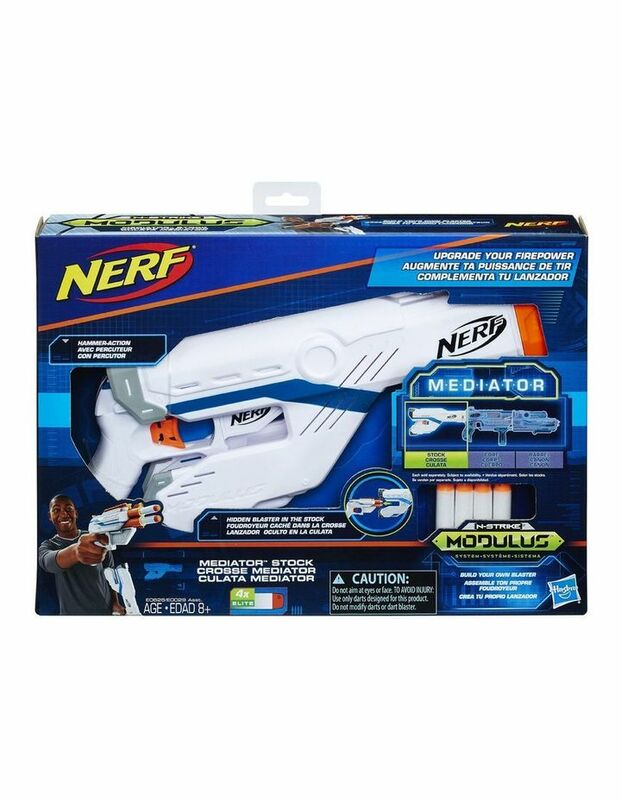 Mediator Stock includes hammer-action,2-dart blaster hidden in the stock. 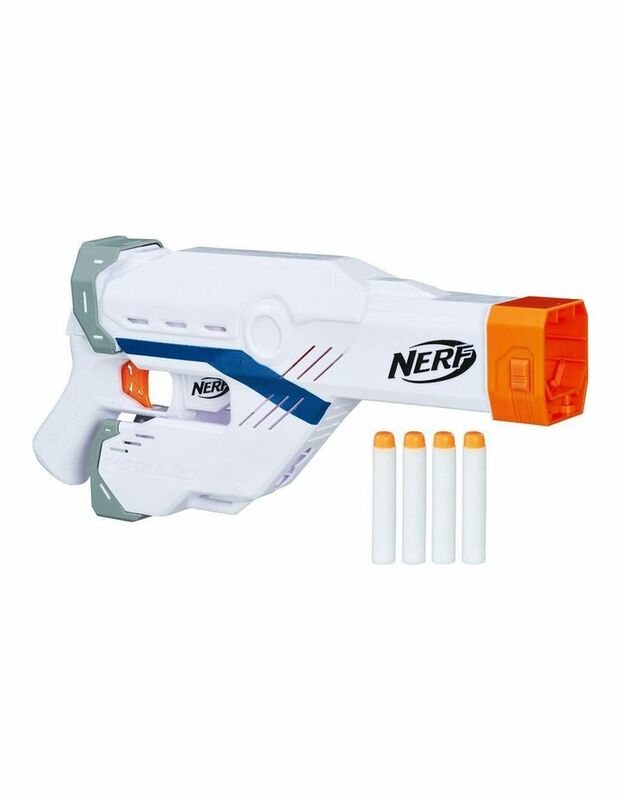 Blaster slides into stock until battlers remove it to surprise opponents. Stock has belt clip so to be used as a holster. Includes 4 Elite darts. 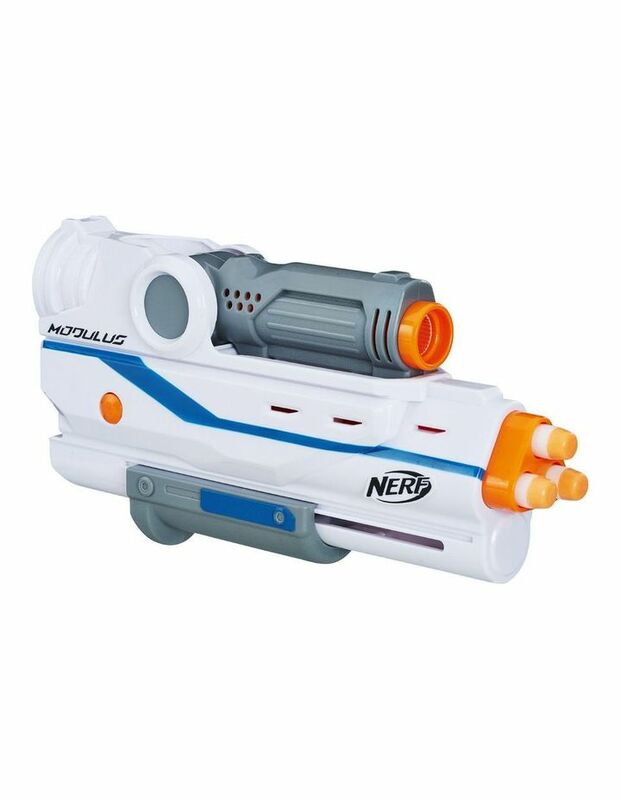 Mediator Barrel fires 3 darts at a time. 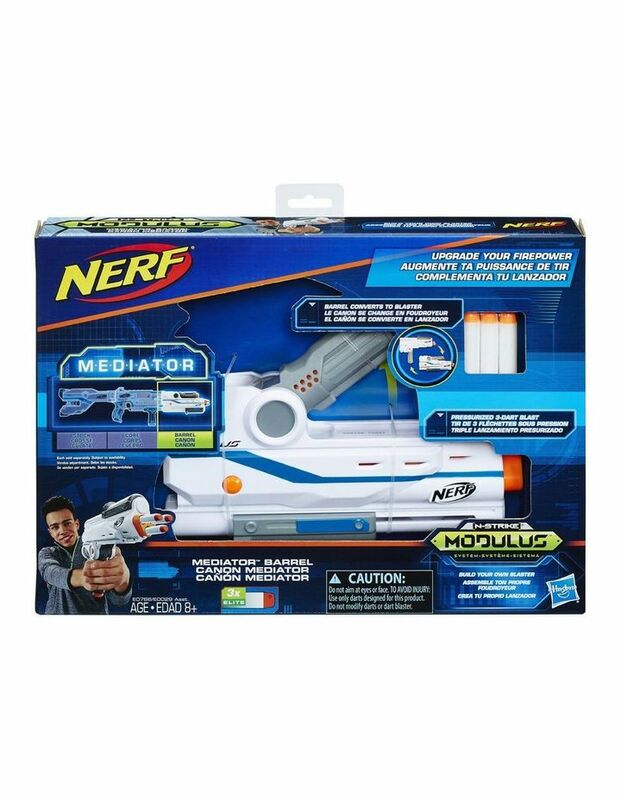 Build Mediator XL blaster with the Mediator Series, customizable system including blaster core, stock, and barrel.